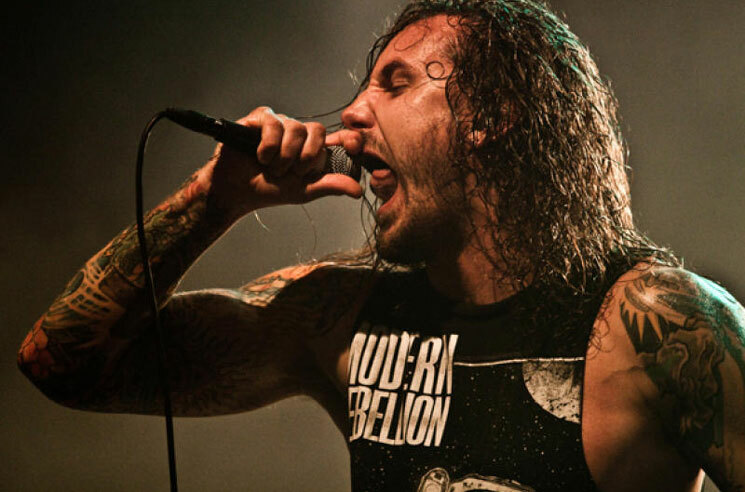 As I Lay Dying vocalist Tim Lambesis was released from prison earlier this year after being incarcerated for an attempted murder plot on his wife. Having kept relatively silent since leaving prison, he's now written a lengthy apology for his actions. In a post on the As I Lay Dying Facebook page, Lambesis writes that "words cannot begin to express how deeply sorry I am for the hurt that I have caused," apologizing to his ex-wife and children. "There is no defense for what I did, and I look back on the person I became with as much disdain as many of you likely do," he continued. In 2014, Lambesis plead guilty to hiring an undercover cop posing as a hitman to murder his now ex-wife. He allegedly gave the undercover agent $1,000 in cash, as well as his wife's address and home security codes, and specified which days he would be taking care of his children to give himself an alibi. The vocalist was originally sentenced to serve six years in prison. "Today marks the first opportunity to freely apologize without any motivation to gain favor from the courts, as I have now completed the entirety of my legal sentence (including the completion of all parole/probation requirements)," Lambesis said. "Let it be clear that no amount of time served can right my wrongs. I do not feel deserving of a second chance and am not asking for anyone's trust." He continued: "In the last five years, the ripple effect of all my actions has extended further than a written statement can address. Thus, I will continue to apologize in both words and actions moving forward." Read Lambesis' entire apology below.